Imagine a day out on the water. Nothing but blue skies, blue water and a whole lot of fish. At Anglers Adventures & Outfitters, we want your day out with us to be a dream. We believe that every time we crank up our engine and set out on a charter, we either create an aspiring angler or make an angler’s dream come true. If you are looking for that dream fishing trip, come ride with us here at Anglers Adventures & Outfitters in Ketchikan, Alaska. While we are knowledgeable, experienced anglers ourselves, the real beauty of our fishing charters lies within our location. Southeast Alaska is known for both its beautiful wildlife and abundance of great fishing. 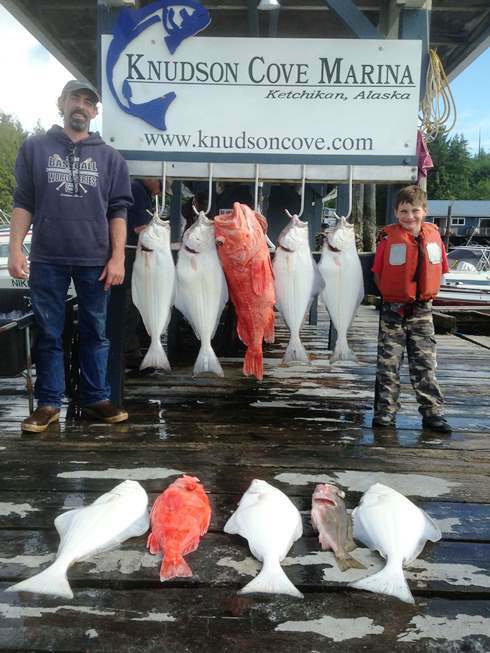 Anglers Adventures & Outfitters is located out of Knudson Cove. This is the perfect location, known for being close to the greatest fishing grounds, while also not being too far from civilization. At Anglers Adventures & Outfitters, you are not just getting access to a boat for a day out on the water. 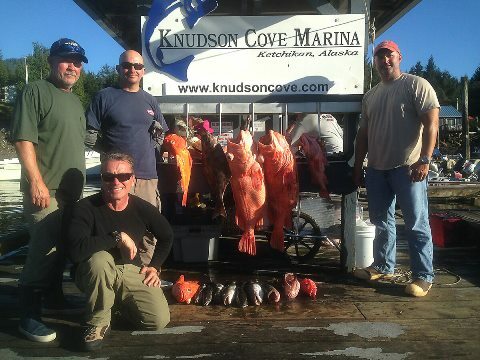 You are getting a captain, angler and seasoned seaman to show you the ropes out on the Alaskan waters. While you may be an experienced angler, our captain, Brian Ringeisen, has over 26 years of guiding experience around this area. He knows these waters and he knows how to put you in the perfect position to catch the fish of your dreams. One of the most unique things about Anglers Adventures & Outfitters is that we tailor every fishing charter to your unique needs. If you are an angler looking to catch your dream King Salmon, that will be our goal. If you are bringing along a novice fisherman who just wants to enjoy the views, then that becomes our main priority. Delivering your dream fishing trip is always the standard here at Anglers Adventures & Outfitters. For those specifically coming for a certain species of fish, we are thrilled to be taking you out on the waters to achieve your goals. We have many years of targeting all types of salmon, halibut, rockfish and black and grey cod. We have everything you need stocked and ready to create the perfect atmosphere for an angler’s dream fishing trip. Are you ready for your fishing trip of a lifetime? Go ahead and book your dream fishing trip today at Anglers Adventures & Outfitters. For more information or to book your dream fishing trip, give us a call at 907-254-0880.